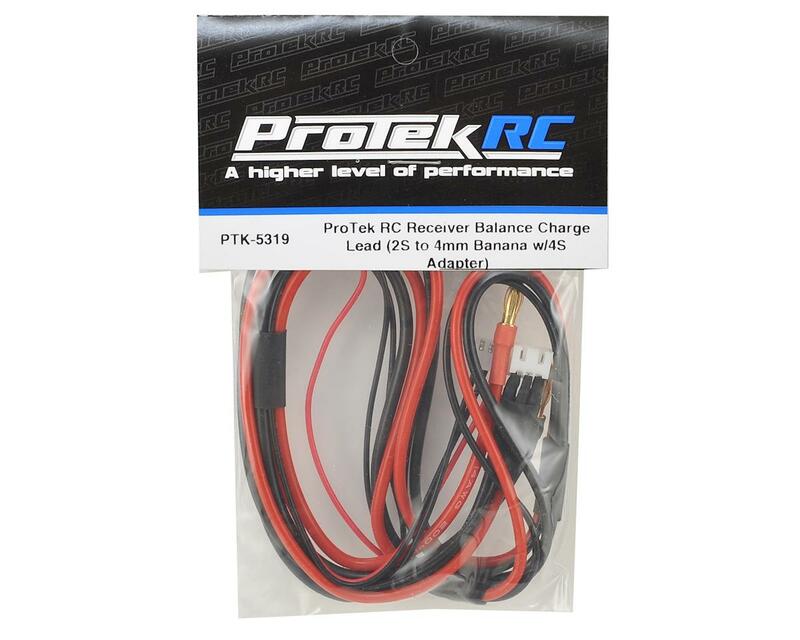 This is a ProTek R/C Balance Charge Lead with a 2S Balance Harness to 4mm Banana Plugs with 4S Balance Adapter. This incredibly handy charge lead was developed to provide users with the option of balance charging smaller 2S receiver batteries directly through the balance connector. This eliminates the need to remove the pack from your model, or charge through a switch! Simply plug the banana plugs into your charger, plug the balance connector into a 4S balance socket, and plug the receiver pack into the female 2S XH plug, and you can charge your receiver packs in the field more conveniently that ever before! Simple, useful, and only from ProTek R/C. NOTE: We do not recommend that you use this charge lead as the sole method of charging your receiver packs. This was developed as a way to simplify charging your batteries in the field. We recommend that you remove the battery from the model at the end of each day and inspect for damage. Don't tell A MAIN, but I'd pay more for this little GEM! Works perfectly with my ProTek Prodigy 610 DUO through the 4S balance port adapter. I have a LIPO receiver battery in the front box of my JQ Yellow Edition Buggy and I no longer have to remove any thing to charge my battery(while balancing cells) Super Stoked!!!!!! Makes charging receiver packs much easier. I wish I had known of this before purchasing futaba leads and a switch with charge lead. This is a must have for every nitro buggy racer. Keeps your pit area free from clutter and lets you peak the receiver pack while wrenching for the main. Awesome product, now i don't have to remove my battery from my tekno truggy (which is a job all in itself), this lead is really a must have to charge any 2s pack threw the balance plug. Awesome job PROTEK. Nice charge lead. It's a simple thing, but this one is quality! This charge lead is genius. It is long enough to reach your car and there is no need for messy wires or circuit boards hanging out of your charger. Simple design and a great idea. How did we ever get by without these things? Very nice cable, well finished. I use it to charge my "Scorpion Backup Guard". 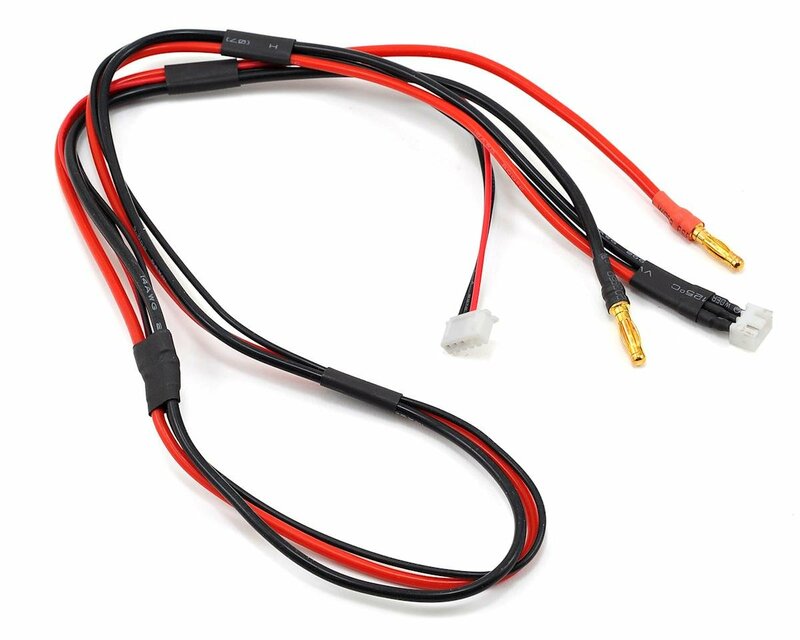 The length of the cable allows to charge without removing the LiPo from the heli.